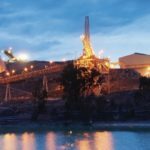 Newcrest Mining has increased production at each of its four gold mines in the December quarter. The Cadia, Lihir, Telfer and Gosowong mines all improved on the September quarter to push Newcrest’s production 19 per cent higher to 654,849 ounces. At Cadia in New South Wales, Newcrest delivered a record quarter with 239,470 ounces of gold and 22,838 tonnes of copper. The company’s improved performance at Lihir (251,156 ounces) in Papua New Guinea reflected less planned downtime and higher head grades than in the September quarter. 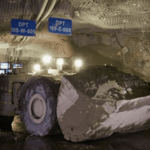 Telfer, meanwhile, recorded an increase in production (109,049 ounces) as a result of higher productivity at the Western Australian underground mine, enabling higher mill throughout and recoveries. At Gosowong in Indonesia, Newcrest attributed the improved production (55,175 ounces) to higher head grade and mill throughput. Newcrest’s all-in sustaining costs (AISC) also improved by 7 per cent on the previous quarter to $720 per ounce. 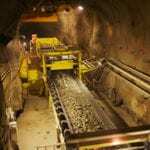 The company credited the AISC result to a combination of higher production and sales, the impact of favourable exchange rates on operating costs and increased copper by product returns. Newcrest managing director and chief executive officer Sandeep Biswas said the company’s first half production performance established a great platform from which to deliver strong results for the remainder of the financial year. “Record production at Cadia and another sound performance from Lihir underpinned a strong start to the financial year, with a higher AISC margin than the same time last year despite lower gold and copper prices,” Biswas said. Newcrest’s production guidance for the 2019 financial year remains unchanged at between 2.35–2.6 million ounces of gold. The company expects its output will be higher in the second half of the financial year due to there being fewer planned shutdown events.